Boat Life Style-Premier Marine: JOIN US FOR SYDNEY'S FIRST EVER ON WATER POKER RUN! 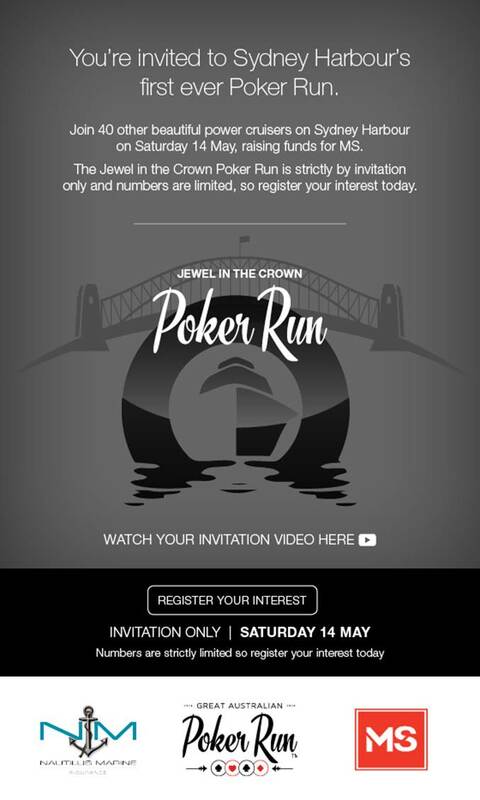 JOIN US FOR SYDNEY'S FIRST EVER ON WATER POKER RUN! Want to raise money for charity and have a great day out with your friends and family? You can write my paper for me about any topics? I hope you will successfully complete your task. No tension I will pay you for your job. I hope that they do something similar in other Australian cities like Brisbane. A nice river cruise coupled with some Poker for charity might be very popular here I reckon!